How many gadgets do you know actually cram in as many as 5 features in a single device? 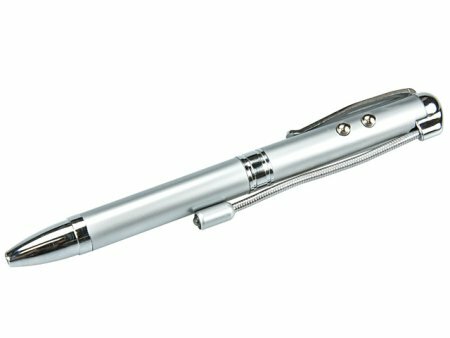 Well here’s the 5-in-1 Gagdet Pen to prove it so, featuring a pen, a mini torch, a laser pointer for your presentations, a stylus for those touch screen devices and even a bank note checker to see if anyone returns you fake $1 bills. After all, you can’t be that much of a high flyer considering the 5-in-1 Gagdet Pen retails for a mere $11, so looking out for counterfeit Benjamins is pretty much a far-fetched idea.